By Raymond Tu, MD, Riad Charafeddine, MD, Theodore Williams, MA, RT(R), and Steven Rothenberg, United Medical Center, Washington, DC. Dr. Tu is Chairman, Department of Radiology, United Medical Center, Washington, DC; Partner at Progressive Radiology, Falls Church, VA; and Clinical Associate Professor of Radiology, The George Washington University School of Medicine and Health Sciences, Washington, DC. Dr. Charafeddine is a Staff Radiologist, Department of Radiology, United Medical Center, Washington, DC; and Radiologist at Progressive Radiology, Falls Church, VA. Mr. Williams is Director, Department of Radiology and Cardiology Services, Department of Radiology, United Medical Center, Washington, DC. Mr. Rothenberg is a third-year medical student at The George Washington University School of Medicine and Health Sciences, Washington, DC. Digital mammography has proven its effectiveness in breast cancer detection programs for over a decade. From the patient’s perspective the screening examination is quick, taking less time than prior analog film-screen technology. From the technologists’ perspective, digital provides enhanced throughput, eliminating the need for film manipulation, cassettes, toxic photographic liquids, and mechanical processors. From the radiologist’s perspective, the streamlined integration is intuitive with existing plain film, CT, and MRI viewing systems, with the obvious benefits familiar to any digital modality. Until recently there was only one digital mammographic choice. Though available in Europe and Canada for years, the recent debut of MicroDose digital mammography in the United States (U.S.) market improves fundamental mammographic detector technology. Micro-Dose provides all the benefits of existing digital mammography with high resolution and lower dose — with 18% to 50% lower radiation dose than used on other digital mammography systems, with an average dose reduction of 40%*.1-4 MicroDose competes with standard mammographic technology as a solution to the film-screen replacement challenge (for those sites which have yet to replace legacy film techniques). It also addresses concerns over unnecessary, nondiagnostic radiation exposure in healthy patients while providing an edge in a competitive provider market. Considering differences in price vs value, not all mammograms are created equal. Price (the financial investment) and value (the weighted multifactorial health benefit) are not synonymous. The various costs of digital mammography equipment (standard and MicroDose) are fairly similar. The vendor add-ons, such as viewing software, workstations, phantoms, service contracts, financing options, and accessories, can vary. On the other hand, differences in value are striking. As healthy people are being screened, the consumer’s perception of harm from radiation exposure cannot be underestimated. As customers select a provider, variation in price and value are not necessarily concordant. The patient calculates value—physician recommendation, geographic proximity, familiarity of the provider, reputation, and personal communication—and weighs it against out-of-pocket cost. Mammography providers are accredited by the American College of Radiology (ACR) and the U.S. Food and Drug Administration (FDA), removing much of the variability among various sites. Coverage and reimbursement are usually driven by third-party payers and local carrier determination, and are not a factor unless a non-covered service, such as tomosynthesis, is added on. A customer will weigh value against cost: time, distance, money, and radiation. The radiation savings will attract informed customers to the lower-radiation option. 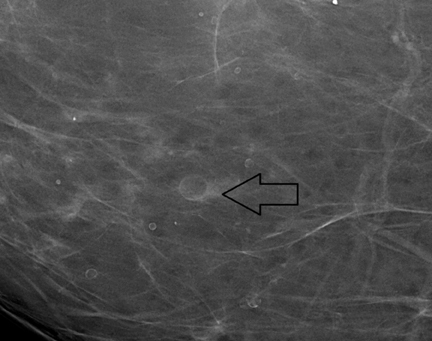 An analogous exploited marketing benefit of lower radiation was used to promote digital mammography during the analog film-screen to digital transition. The lower-radiation advantage of MicroDose provides similar value to an imaging business seeking to enter or expand its digital mammographic service. Patients are pleased with the brevity of the MicroDose exam. The breasts are compressed on a curved MicroDose patient support assembly warmed above room temperature rather than to the typical flat, cold ergonomic plate. The warmed support and compression device provide comfort and reduce the shock of having one’s breast placed on a cold tray.8 Patients who have returned from other mammogram studies have been complimentary of their experience on MicroDose. They request MicroDose realizing the added benefit of 18% to 50% less dose than other breast imaging practices. Many patients are fearful of radiation; offering a lower radiation option enhances patient emotional comfort with the study. 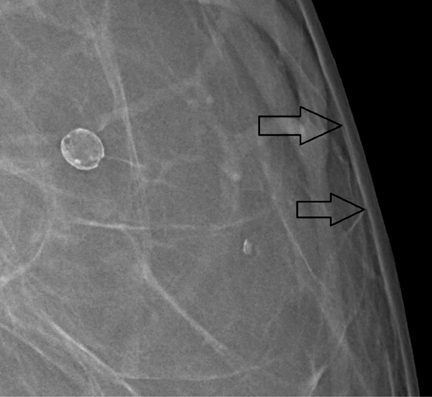 MicroDose mammography can elevate the reputation of the department and hospital. The perception of providing cutting-edge technology and lower radiation dose at the high resolution results in more referrals from healthcare providers. 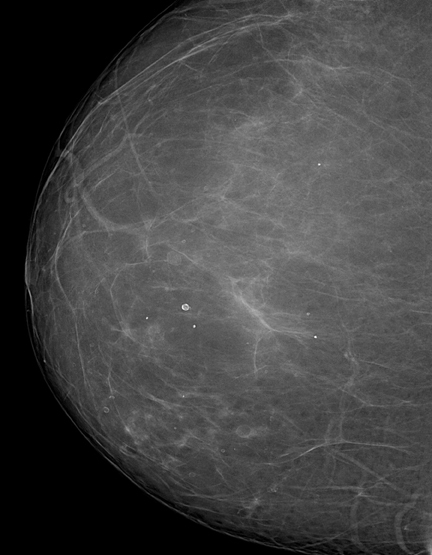 Lower radiation dose breast cancer detection with the high resolution provides cache and exclusivity to a facility’s portfolio of imaging services. Patient feedback to referring providers will attract more patients to a low dose exam. Positioning a patient in the MicroDose machine is similar to placing her in standard mammography machines. Adjustment controls for the patient support tray are easy to access and operate with ergonomic foot control paddles. The computer interface is similar to that of any other computer data entry system. The elimination of film cassettes, film handling, and the processor streamlines the exam. 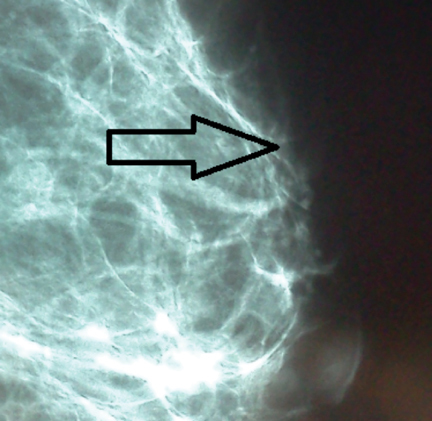 MicroDose improves digital mammography technology by providing high image quality at low radiation dose. In analog-to-digital conversion, MicroDose full-field digital mammography is an excellent solution in replacing a legacy film program, decreasing unnecessary radiation exposure to otherwise healthy patients while providing market share advantage in a consumer-driven examination. 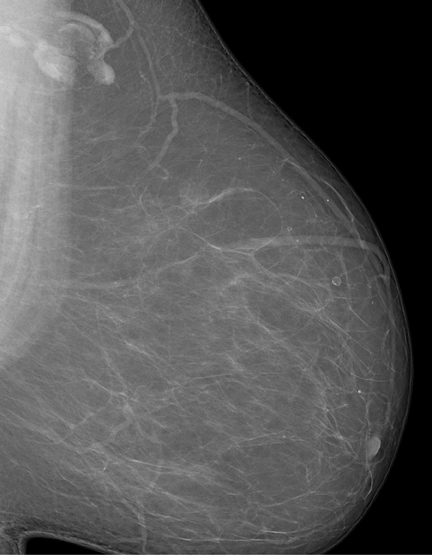 The lower dose and high resolution of MicroDose will be the standard of digital mammography as imaging centers add more units and replace older equipment with new technology. Oduko, J.M. Young, K.C., Burch, A.,: A Survey of Patient Doses from Digital Mammography Systems in the UK in 2007 to 2009. Digital Mammogr. 2010;2:365-370. Baldelli P, et al, Comprehensive dose survey of breast screening in Ireland. Radiation Protection Dosimetry. 2010;145:52-60. Leitz W, Almén A. Patientdoser från röntgenundersökningar i Sverige – utveckling från 2005 till 2008. Strålsäkerhetsmyndigheten.http://www.stralsakerhetsmyndigheten.se/publikationer/rapport/stralskydd/2010/201014/. SSM 2010-14, ISSN 2000-0456. Accessed October 9, 2012. White paper. Comparison of Dose Levels in a National Mammography Screening Program, Philips Healthcare. Sectra microdose mammography. Highest image quality, Half the radiation. 2010. Åslund M, Cederström B, Lundqvist M, Danielsson M. Scatter rejection in multi-slit digital mammography. Medical Physics. 2006;33:933-940. Baldelli P, McCullagh J, Phelan, N, Flanagan F. Comprehensive dose survey of breast screening in Ireland. Radiation Protection Dosimentry. 2012;145:52-60. Philips MicroDose mammography system, technical data sheet, US/Canada. 2012. Cole EG, Toledano AY, Lundqvist M, Pisano ED. Comparison of radiologist performance with photon-counting full-field digital mammography to conventional full-field digital mammography. Acad Radiol. 2012;19:916-922. Transformation from film-screen to MicroDose digital mammography: Selection challenges, opportunity, and value. Appl Radiol.